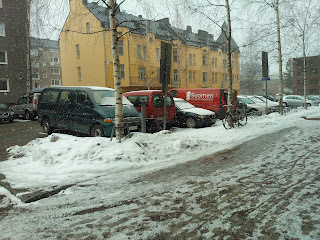 Wine and Finland : Spring in Finland: Winter is coming? Time for some Red Wine? Spring in Finland: Winter is coming? Time for some Red Wine? The third season of Game of Thrones just started last week, meanwhile, since yesterday, it snows very much in Helsinki and also most of other parts of Finland just like in Christmas time, very much... A lot of snow... Surprisingly much... It has never been as Spring also, that sunny but always cold and the whole land frozen, but still I have been so excited for the summer coming, the best time to go to Esplanadi Park in the heart of Helsinki for a sparkling wine session with little snacks, as lunch or just spending nice time in the day watching other people doing the same and smiling, happy, "communicating, socializing". Some say that red wine is the drink of cold rainy winter days and Finland seems like decisive not to leave the atmosphere of a full-bodied strong red (I personally believe that any wine can be drunk any time). Did Robb Stark say " Winter is coming for Finland..."? It seems like... By the way, who is Robb Stark and why he talks about winter? Well you know if you watch Game of Thrones.